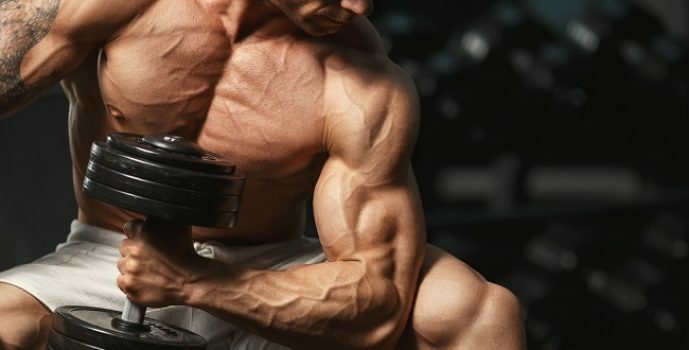 Working out at home can be very effective and is where a lot of people start their quest to build muscle. There are quite a few advantages training at home offers over training at a gym. The main and most obvious advantage is that it costs nothing to use your home gym after the initial investment of buying the equipment, unlike a big comercial gym where you will need to pay a monthly membership fee. Even if you do own a gym membership, it’s still a good idea to invest in some training equipment for your home. You don’t need much to build muscle at home, a workout bench and a set of dumbbells is all you need to get started. Pictured on the left is my own little home gym room that I set up and I use quite often. 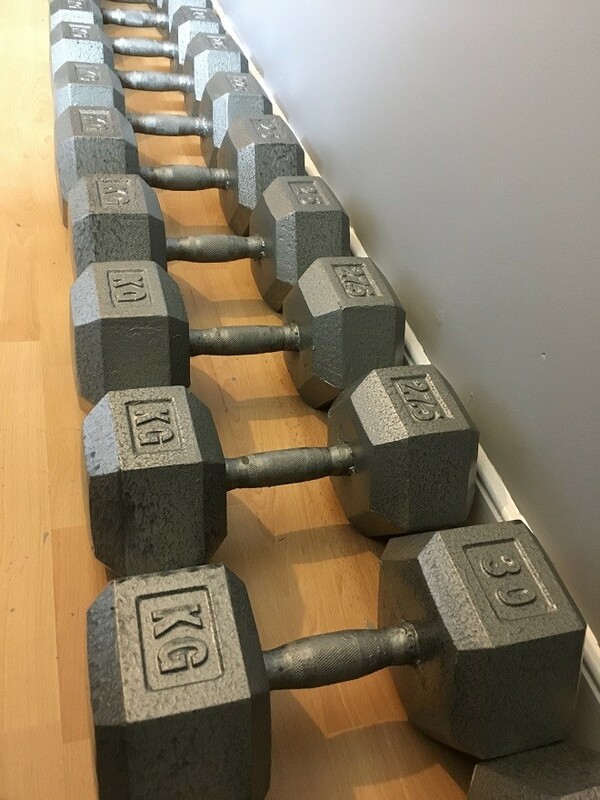 Below you will find a list of the equipment I’ve used to set up my home gym. 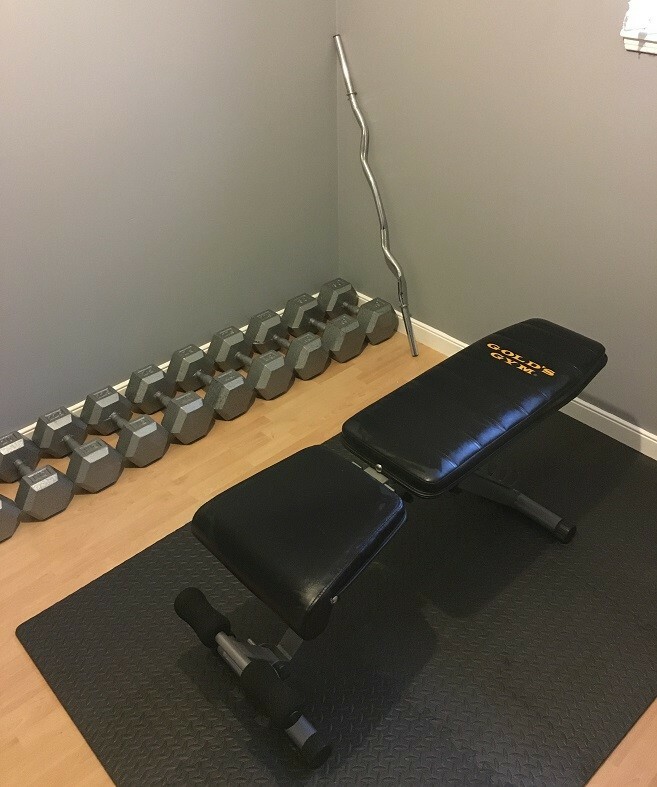 You don’t need to buy all this equipment when setting up your gym though, just an adjustable workout bench and a set of dumbbells will get the job done. As you progress you can add more things to your list of equipment, such as the ones found listed below. The reason I like to keep some training equipment at home is that I’m free to workout whenever I like, I’m not limited to the opening times of the gym. Some days I may not feel like going to the gym and just want to do a workout at home. There can also be times when you can’t get to use the local gym due to closure for maintenance or holidays. Having your own home gym equipment offers you a back up, so you’ll never miss your crucial training days. Traveling can also be a problem for some people. If you have to travel some distance to the nearest gym then a home gym may be a good investment for you. Traveling miles to the nearest gym can not only be an inconvenience, but costly. On top of the gym membership you have the addition of petrol consumption or other travelling costs. When I first started taking an interest in building muscle I was put off from joining the local gym because I felt very self conscious about my size and strength. I was very skinny and probably had below average strength compared to most other guys my age. I felt uncomfortable entering the local gym as the new ‘skinny guy’ surrounded by strong guys with bodybuilding physics. I’m sure many of you have felt the same way. 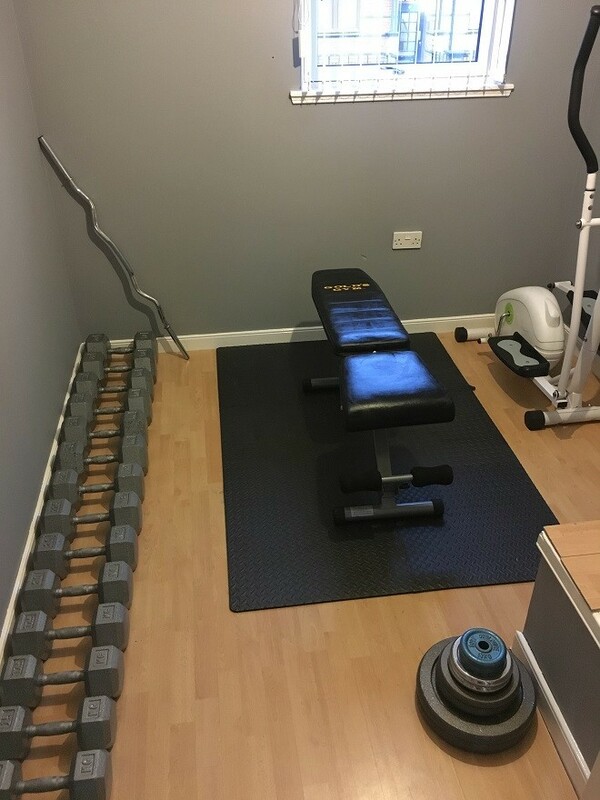 Building a home gym was the answer to my problem because I had time to workout at home, building up my strength and adding some muscle to my skinny frame before joining the local gym. My only problem with training at home is lack of motivation. I seem to be able to train much harder when I’m at the gym. I think I’m able to train harder because the environment of the gym just feels better, and having my training partner there makes a difference, too. 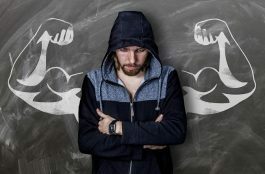 Okey, so now you know what you need to set up a home gym, that it doesn’t cost much and why owning one is a good idea. 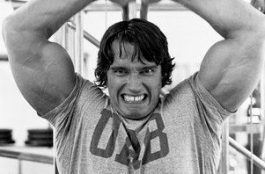 Below I have outlined a muscle building workout routine that can be done with just a workout bench, a set of dumbbells and a chin up bar at home.